Item No. 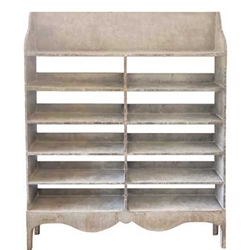 1 Painted Book Case with six shelves and center divide; shaped scalloped border. A wonderful mottled finish gives the piece a textured, vintage feel.